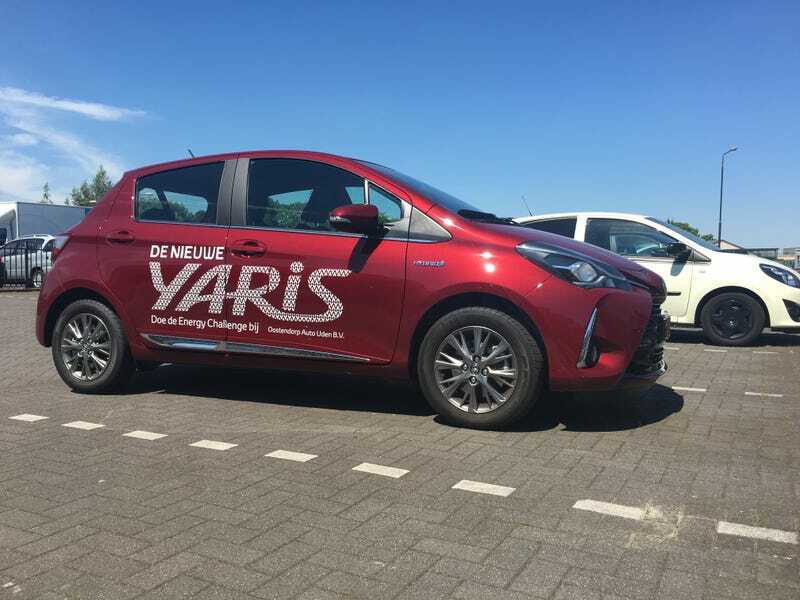 Toyota has a challenge going on in the Netherlands at the moment, where you can win a Yaris Hybrid if you manage to get most out of the Battery while driving. I don’t know what I managed as the server apparently couldn’t handle the heat, and derped out my score. I quite like how it drove actually. Sure it is boring but extremely quiet when in EV mode, and quite nice to be in. The fact that I applied ‘slow car fast’ driving in order to prevent losing momentum also helped. Afterwards I decided to take the long way home, in order to find the best driving road near me. Sadly my area is quite flat, so the best road had like 4 successive bends that were nice, SAD! As a consolation I did come across a Zastava 1300, which I thought was a Fiat 1500. Luckily the owner, a Serbian going by his accent and the fact he imported a Zastava, corrected me when I asked him about it. Normally, I don’t stop to ask people about their cars, as I don’t want to come of as a weirdo, but turns out (car) people don’t mind as much as I thought they would.